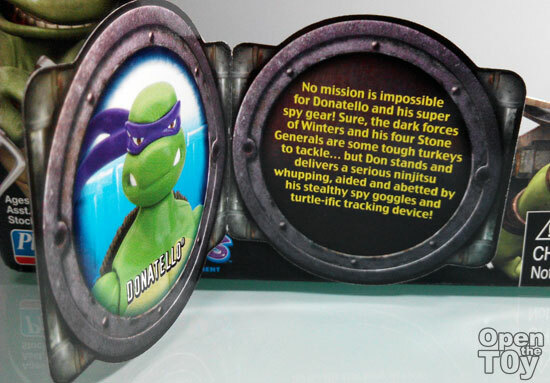 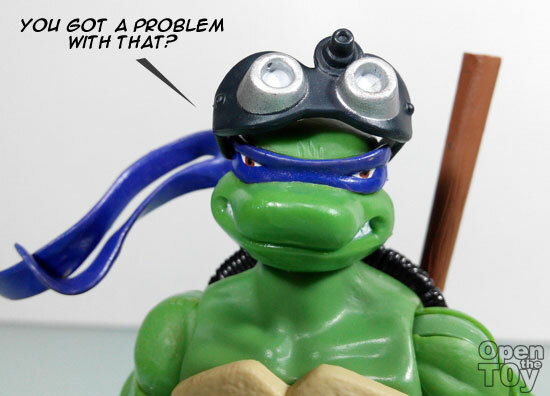 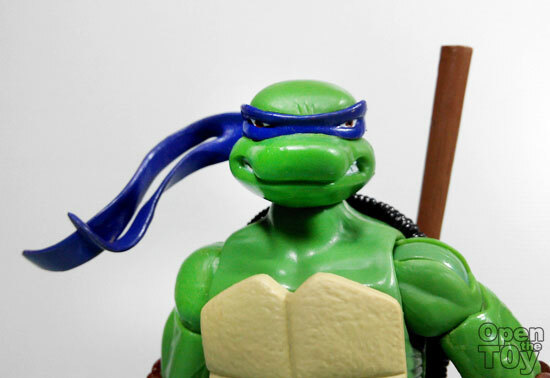 My final review of the TMNT 2007 movie figure is Donatello. 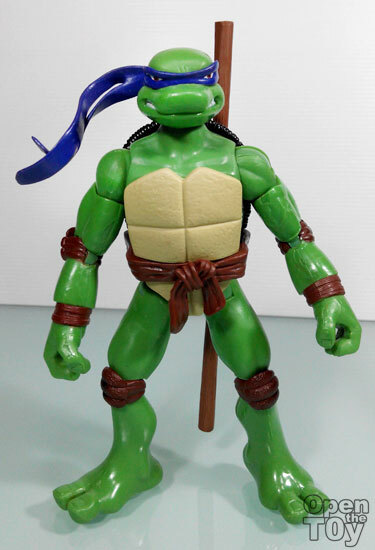 Out of box, Donatello look good and lean. 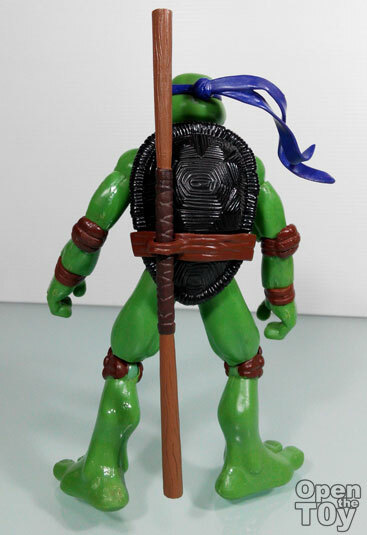 His weapon the Bo hang nicely at his back. 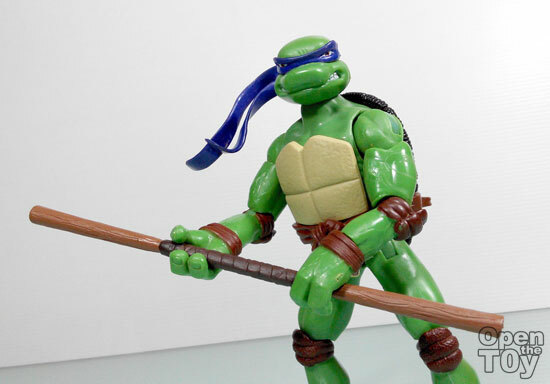 This however is the first time I see this weapon hanging straight down as the usual are much diagonal. 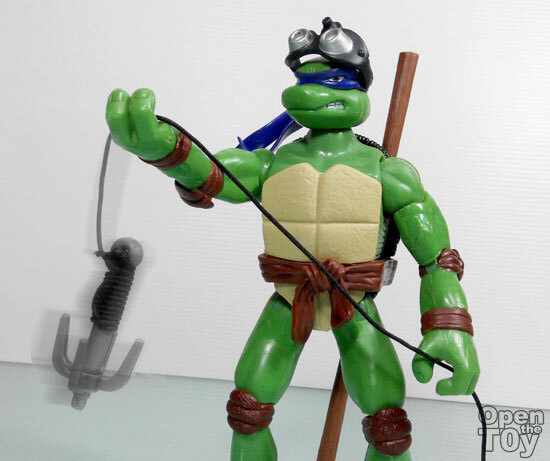 Don't joke around, he is a Bo master. 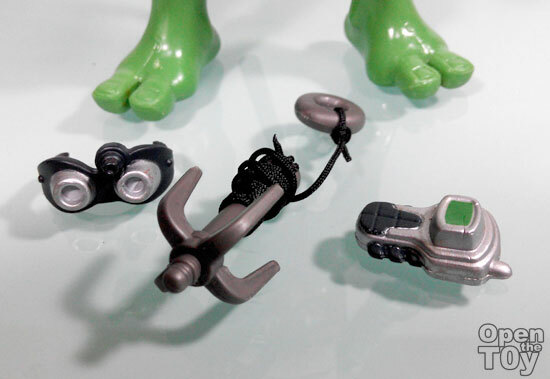 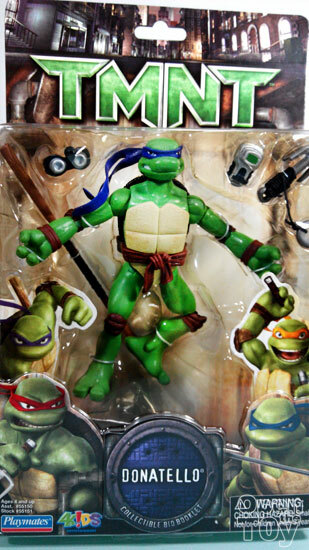 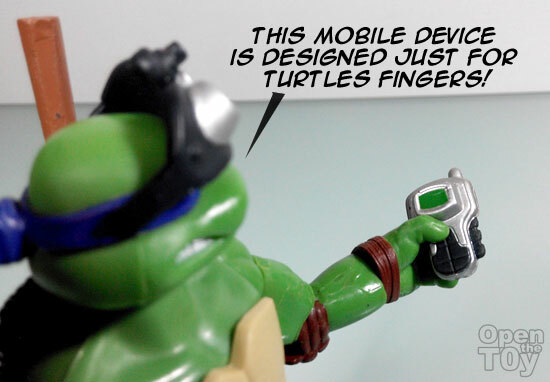 He comes with the most gadgets in terms of all four turtles. 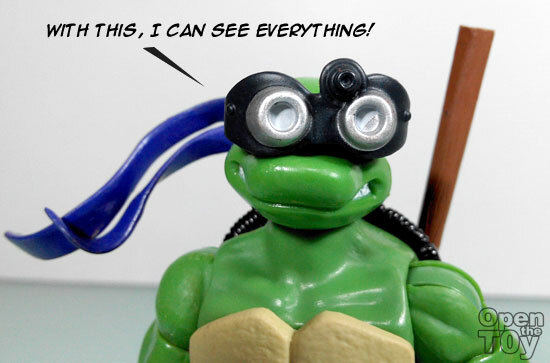 Just see what he has! 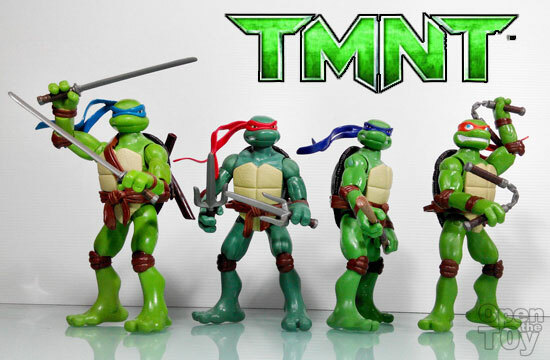 I have yet to see the latest TMNT but do you think this version of TMNT toys are better than the current ones? 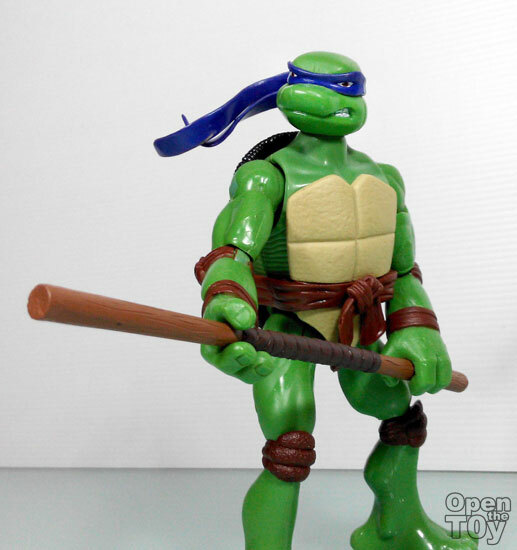 See other in this series review for Raphael , Michael Angelo and Leonardo .